The O'ahu 'elepaio is a subspecies of the 'elepaio and endemic to the island of O'ahu in Hawaii. It is a small flycatcher, weighing only 12.5 grams, and it has a long tail. Both male and female are dark brown with white underparts and have light brown streaks on the breast. They also have black markings, and males tend to have more than females, especially on the chin. 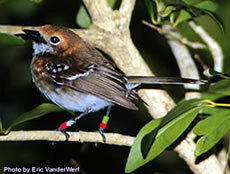 These birds prefer native and exotic forest for their habitat, and their numbers are greater in wetter areas. They like to search for food on the ground and in logs, rock crevices, snags, and all parts of trees. They feed on a variety of invertebrates, including mosquitoes and fruit flies. They prefer to remain in mating pairs throughout the year, and breeding occurs from January to July. Nests are built in trees 2 to 24 meters from the ground. The female lays two eggs, and both parents help to keep the eggs warm, and both feed the chicks after the eggs hatch 18 days later. Usually, only one of the chicks will survive but it is not rare for both to survive. The chicks remains dependant on the parents for one month but may remain with the parents for another ten months. There may be less than 2000 of these birds left in the wild. The species has declined due to a combination of poor reproduction and low adult survival due to disease carried by mosquitoes. They are also threatened by habitat loss and they compete with other non-native species in the area, such as the Japanese white-eye and yellowjackets. Although this species is protected by various federal and state laws, its habitat is not well protected. Glenn, C. R. 2006. 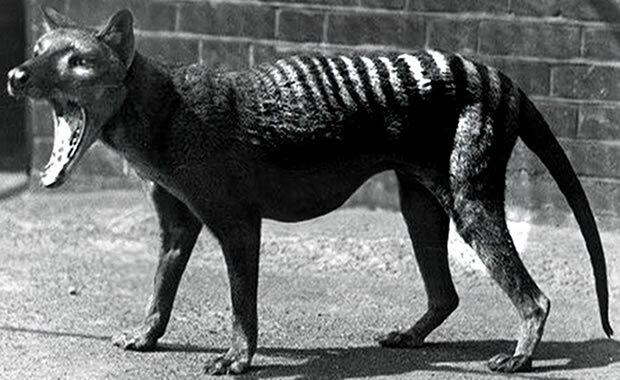 "Earth's Endangered Creatures - Elepaio Facts" (Online). Accessed 4/18/2019 at http://earthsendangered.com/profile.asp?sp=637&ID=7.